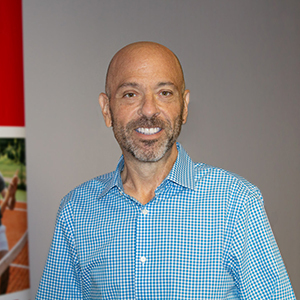 Ira Hernowitz, veteran executive in the education and early childhood industry, joins leading supplemental educational company Carson-Dellosa as Chief Executive Officer. September 11th, 2018 – Columbus, OH. The Carson-Dellosa Publishing Group announced that its Board of Directors has appointed Ira Hernowitz as Chief Executive Officer, effective September 5th, 2018. “We are excited to welcome Ira as Carson-Dellosa’s Chief Executive Officer. We've selected an exceptional leader who has transformed and helped world-leading brands grow, at a time when our company is rapidly expanding its brand portfolio,” said Carson-Dellosa Chairman Scott Evans. “We’ve recently completed an integration of Rourke Educational Media® to expand our reach into the library market, and we’ve also introduced Schoolgirl Style™ and I’m Lovin’ Lit ™ into retail to reinforce our leading position in the teacher market. We are also aggressively pursuing growth in the parent market. Ira’s consumer-centric leadership, product innovation, and exceptional storytelling will be amazing assets to Carson-Dellosa. More importantly, he is a perfect cultural fit for this organization.” Al Greco will assume the role of President for Carson-Dellosa, and will lead the company’s business development and product commercialization efforts. Hernowitz is an accomplished executive in consumer markets. As GM/SVP Pre-School, Creative Play and Girls at Hasbro Inc., he was responsible for a portfolio that included Playskool™ and Play-Doh™. He also held leadership roles at Melissa & Doug and at Toys “R” Us/Babies “R” Us. As a former President of the Stride Rite Children’s group, he led the re-branding of a division which included e-commerce, brick and mortar stores, wholesale, and international expansion. Most recently, as CEO of Kindara, he led a digital company focused on women’s health. Ira’s consumer-centric leadership, product innovation, and exceptional storytelling will be amazing assets to Carson-Dellosa.